The mission of the Department of Environmental Protection (DEP) is to enhance the quality of life in our community by protecting and improving Montgomery County’s air, water and land in a sustainable way while fostering smart growth, a thriving economy and healthy communities. DEP is seeking an experienced Planning Specialist III to provide technical support to property owners and organizations, and provide outreach efforts to promote the use of small-scale stormwater runoff controls, such as low impact design (LID) and environmental site design (ESD) techniques, on residential and commercial properties through the RainScapes Program. The successful candidate will work in a team environment with other staff and external groups and/or consultants to conduct field evaluations and develop site-specific design recommendations for small-scale retrofit runoff controls. The types of retrofit run-off controls (RainScapes techniques) include, but are not limited to, rain gardens, conservation landscaping, rain barrels, cisterns, and pervious pavement. The RainScapes Rewards program is a rebate program that requires project review and approval and then final inspections for payment eligibility; other activities for the position support watershed management goals and implementation to meet those goals. 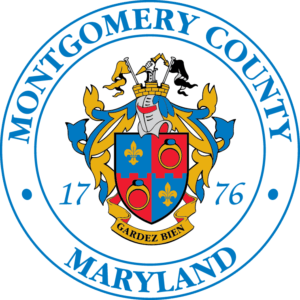 To view the complete job announcement and to apply, please visit our website at https://www.montgomerycountymd.gov/HR/Recruitment/MCGCareers.html click on the “Search Jobs” tab, and then on the Job Search link https://tinyurl.com/MCGJobSearch. Read the full job description under the “General Professional” Job Category. Interested candidates must create an online account in order to apply.